Congratulations on your second visit to my beautiful state of Meghalaya. Hope you enjoyed your time and found it easier to breathe, unlike in Delhi. His words were a shocking jolt to me as I realized your power and what kind of a narrative your speech can set. 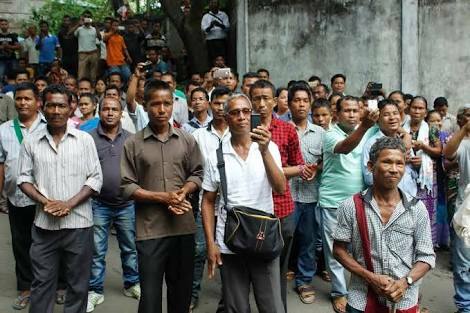 Instead of portraying Meghalaya in a good light, you chose to play petty politics. Modiji, I hope you take out some time and read this letter by a very hurt but proud citizen of this country. Invited to the state for the inauguration of a project close to our hearts, you misused the power of your office and put Meghalaya in a poor light. You had just inaugurated a 261km long 2-Laning of Shillong-Nongstoin Section of NH 106 and Nongstoin- Rongjeng Section of NH 127-B and called it an “east-west corridor” but instead chose to highlight the poor infrastructure in the state. Since you acted as a petty campaigner for your political party, let me remind you that this Shillong-Tura project was sanctioned in 2011 under UPA Government and completed in 2017 under Dr Mukul Sangma government. Dear Prime Minister, we may not be growing at a lightning speed but we are taking baby steps towards development which shouldn’t be disregarded. Sir, you’re doing injustice to the power vested in your office by the Constitution of India with this step-motherly treatment to the states in which BJP isn’t in power. Sir, let me remind you about the Meghalaya Health Insurance Scheme (MHIS) which was applauded by the Union Health Ministry for being innovative and other states were also asked to replicate it. The scheme is revolutionary as it extends to all people of the state on the line of universal health insurance. My friend Rishan Marak realized the benefit of this scheme when his father suffered a heart attack recently. At the time of distress, when one can’t think straight, he was able to get world class facilities for his father by just handing over the smart card issued to his family to the officer in-charge in the MHIS counter present in the hospital. MHIS has saved his father’s life and countless others. Worrying about the state’s infrastructure, you announced Rs 90,000 crore for improving roads and national highways in the northeast to facilitate better connectivity. Sir, you’ve been in power in the Centre since 2014, where was this concern since last 3 years? Or is this an election gimmick? We remember same sort of ‘promises’ during elections in UP and Bihar as well. Is this part of strategy or do you think we can’t see through such tactics? Our vote isn’t up for auction like this. You went as far as calling the Congress and Mukul Sangma Government as the government of and by the mining mafia. Perhaps you forgot that your own party has promised the coal mine owners that they would work towards lifting the ban by the National Green Tribunal (NGT). Let’s come to the topic close to everyone’s heart, Beef Ban in India. You recently said you would “allow” people of Meghalaya to eat beef. Respected Sir, in a country where Right to Freedom and Right to Privacy is a constitutional right, who are you to “allow” us our eating habits? And if you’re so convinced of your logic behind the Beef Ban, why isn’t it being made a Pan-India policy? Why the hypocrisy and the double standards? Or is the cow not sacred enough to play vote bank politics with? At the end I would like to say only one thing, the North-East remembers.